Why are X-rays so important for dentists? What are some common X-rays used in dentistry? Which type of X-rays will I require? X-rays are a common tool used in communicating with your dental insurance company and with other dental providers. Dentists rely heavily on examining your X-rays to diagnose most dental problems. Dental conditions such as cavities, gum disease and many other oral lesions are difficult or impossible to detect without proper X-rays. This means that without taking X-rays your dentist would not be able to diagnose your cavities or gum disease until it’s too late. Plus, X-rays are a common tool used in communicating with your dental insurance company and with other dental providers. There are all the reasons why X-rays are so important and why most dental visits start off by taking X-rays of your teeth. Periapical and bitewin X-rays show lots of fine details, but each one captures only a small region of your mouth. Periapical and bitewing X-rays are those small individual X-rays that the dental assistant takes while you sit in the dental chair. These X-rays show lots of fine details, but each one captures only a small region of your mouth. Since most periapical and bitewing X-rays cover only 2 to 3 teeth, you need about dozen to capture the whole mouth. Typically, most dentists require 10 to 20 X-rays on your initial visit, followed by 4 to 8 X-rays on future recall appointments. Periapical and bitewing X-rays are ideal for diagnosing dental cavities, tooth infection and gum disease. A panoramic X-ray is used to capture wisdom teeth and other impacted teeth during oral surgery procedures. Panoramic radiograph, abbreviated Panorex, is ideal for identifying wisdom teeth location, impacted teeth, sinus position and TMJ problems. Additionally, having a panoramic X-ray provides your dentist with a broad overview of what your teeth, mandible and facial bones look like. 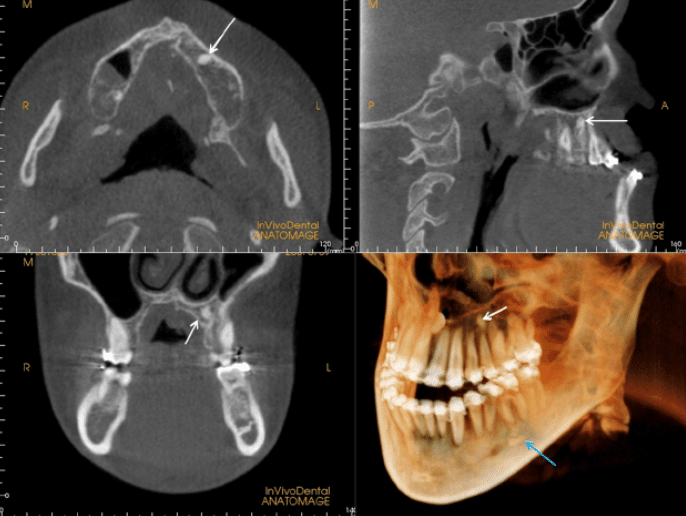 Since Panorex X-rays capture a large segment of your skull, they are very useful for oral surgery procedures like tooth extraction and dental implant placement. Ceph X-rays show the relationship between your upper and lower teeth and jaw bone, which is crucial to orthodontic treatment. 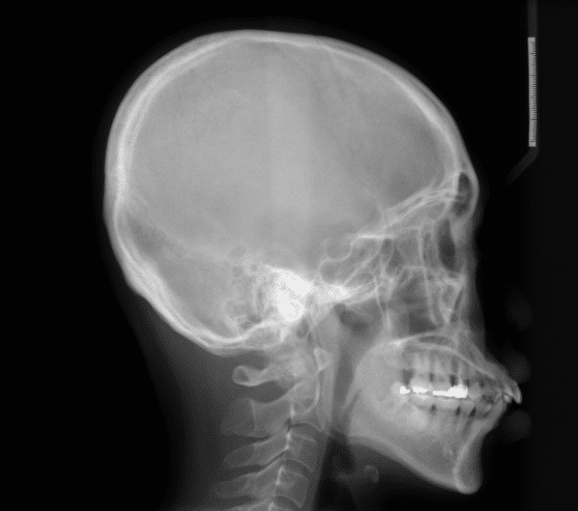 Lateral cephalometric X-rays, abbreviated Ceph, are primarily used for orthodontic diagnosis and treatment. Ceph X-rays show the relationship between your upper and lower teeth and jaw bone, which is crucial to orthodontic treatment. Most orthodontists take Ceph X-rays to monitor your orthodontic progress. In addition to orthodontics, Cephalometric radiographs are also useful for sleep apnea diagnosis of airways as well as certain ENT conditions. a CT or CBCT scan is the only acceptable diagnostic radiograph for treatment planning most dental implant cases. As opposed to the previous X-ray options which capture 2-dimensional views, CT and CBCT imaging captures 3-D views of your teeth and jaw bone. 3-D images are ideal for identifying bone width, nerve location and exact sinus position. These landmarks are very important for dental implant placement which is why CT images are taken prior to most implant surgeries. In fact, a CT or CBCT scan is the only acceptable diagnostic radiograph for treatment planning most dental implant cases. 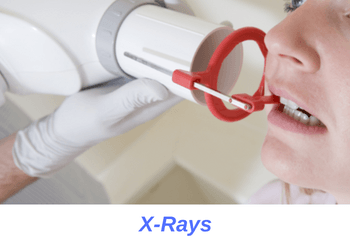 The X-ray which best suits your needs depends on what dental treatment you require. For instance, if you simply need a few cavities fixed or a dental cleaning, then you will require bitewing and periapical X-rays. If you need a wisdom tooth extracted, then chances are that you will require a panoramic X-ray. Most orthodontic treatments rely on a lateral cephalometic to identify important developmental landmarks. Finally, if you need dental implants treatment then you most likely will require CT or CBCT images of your jaw bone. If you have any more questions X-rays, give us a call today. You can reach us at (949) 481-2540 or reach us online to ask us your questions regarding dental radiography.